If you are not a business owner but looking to invest in a property to keep the existing business from failing, you still need to have a commercial real estate realtor. 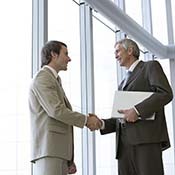 Finding the perfect business in the perfect location is going to be hard without expert help. You may get discouraged and give up the search because you cannot see all of the benefits you will get from investing in a commercial property. Let us remind you about some of the benefits. 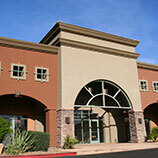 When you are an investor in a commercial property, you have the potential to earn a good deal of money. According to this site, commercial properties often have an annual return off of the purchase price of between six percent and 12 percent. Unlike residences, retail tenants are going to be in the public eye. This alone will make them want to look more professional and therefore will keep the store and storefront looking nice and well put together. The great thing about being a landlord as opposed to a business partner in a commercial property is the fact that you will only have to work whenthe property is open. Except for the rare event of a break in, you will be able to have a full night’s rest just about every night. 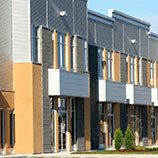 There are lots of great reasons to invest in a commercial property. Putting the money up upfront will allow you to make more money in the long run with little to no stress added to your life. When you are ready to take that step, call the experts at North Bay Property Advisors today.